Equipping youth with happiness skills. LG, a leading global electronics and home appliance manufacturer, wanted to focus its varied cause marketing and corporate social responsibility efforts. LG has long been a participant in the UN Sustainable Development Goals as well as having strong philanthropic ties. However, the efforts have not been focused around a solidified company mission, until now. Executives wanted consumers to know what LG stood for – and what the phrase “Life’s Good” meant to the company. The LG team believed a more focused philanthropic approach could help bring definition to the brand’s personality in the public eye. 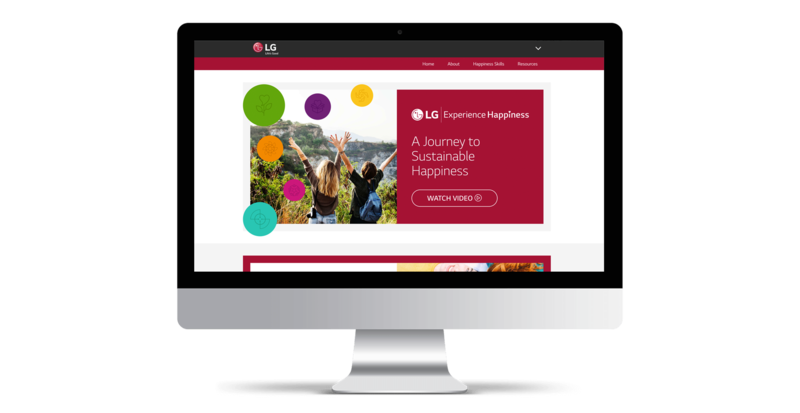 Matchfire helped LG design and launch an initiative that equips youth with the skills necessary to create sustainable happiness in their lives — a platform called Experience Happiness. We initially conducted an extensive data intelligence phase and developed the strategic framework for the purpose platform. 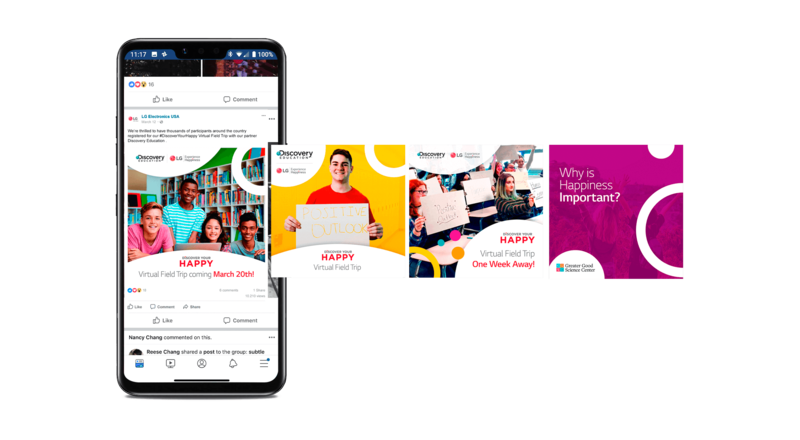 The design work included the Experience Happiness brand look and feel, animation work for the NYC Times Square Billboard displays, and the Experience Happiness content hub. 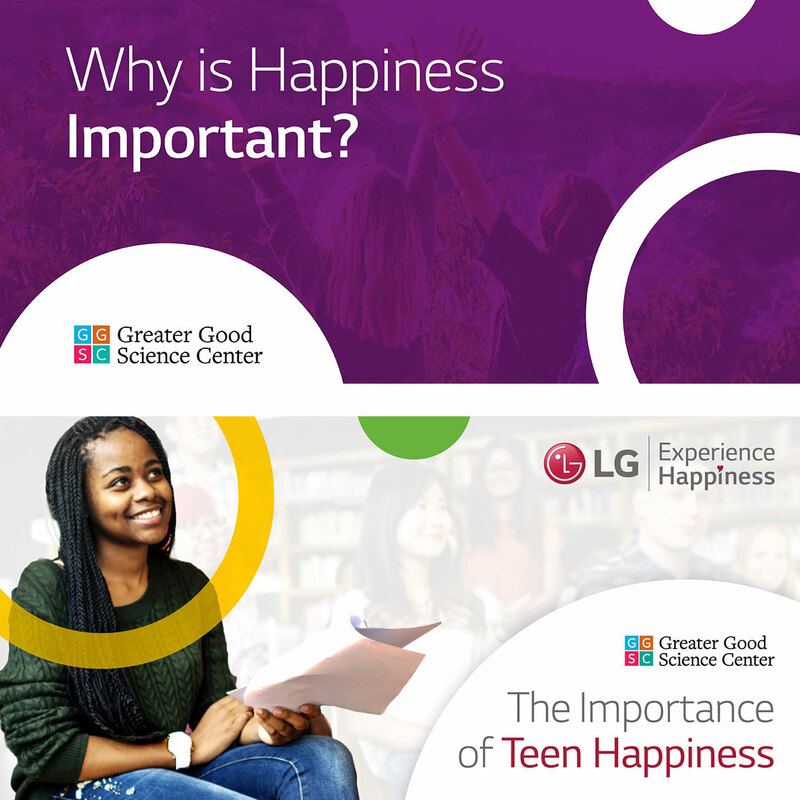 A social media campaign was also launched to support the work of LG’s nonprofit partners dedicated to furthering the science of happiness. The mission is to create awareness that Happiness is more than a fleeting feeling, that Sustainable Happiness is achievable, and that there are a set of skills that you can learn, teach, and practice to help you along the path to Happiness. Continued work includes a phase II launch with a large-scale celebration of reaching over 1.8 million youth in the first year – held at the top of One World Observatory in NYC on the International Day of Happiness, March 20, 2019 in partnership with Daybreaker, celebrity influencers, and the amazing youth who continue to share these happiness skills with everyone they meet.